Singing Rooster News – Haitian coffee, chocolate, art THANKS - Coffee Seedling Funds Raised! 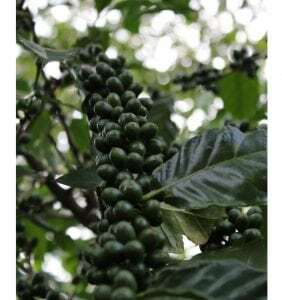 THANKS – Coffee Seedling Funds Raised! Because of your generosity – Singing Rooster raised $8,000 on Earth Day 2016 for a new coffee seedling nursery that will help #reforestHaiti mountains with coffee. We’re recruiting WOMEN coffee farmers for these seedlings. 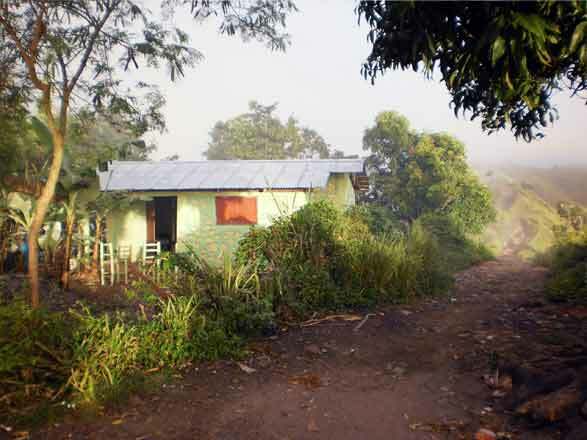 That’s a whopping $8,000 for a seedling nursery near Fond Jean Noel / Belle Anse, Haiti. 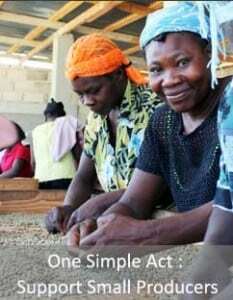 We KNOW agriculture is a great pathway to a self-sustaining Haiti. Your commitment to drink Haitian coffee and eat Haitian chocolate seems like a simple solution – but we know it takes time and effort. If you’d still like to make a donation — we’re appreciative; we’re building much-needed nurseries across this tiny island nation. Donate to our coffee seedling fundraiser today! The walk up the mountains Near Fond Jean Noel is steep. Along the way, we see painted stone houses and beautiful creole gardens. The view at the top is worth it — but notice the far mountain? It’s bare. 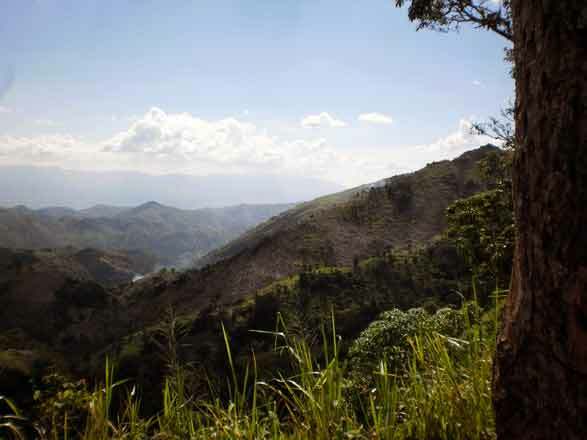 Learn more about why coffee trees are important for Haiti’s bare mountains; Singing Rooster plants tens of thousands of coffee trees to help reforest Haiti. Join us.